My thoughts on Pour Lui’s last single with Brand-new Idol Society. 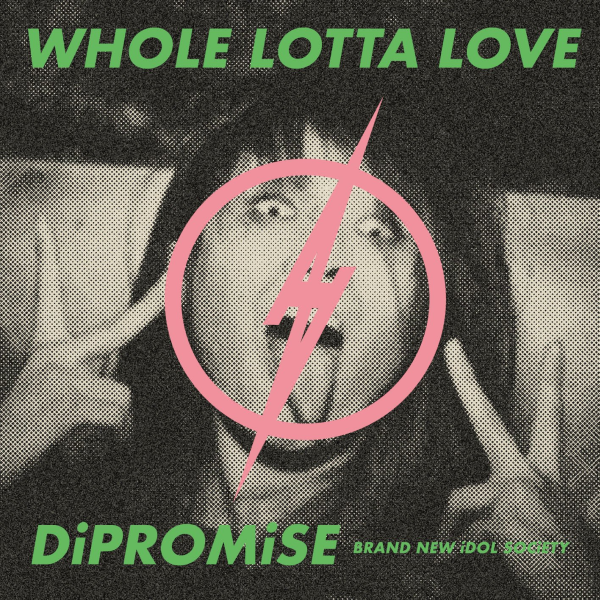 I’m not sure if people realize it right now, but in a few years time I think we’re going to look back on BiS’s latest single “WHOLE LOTTA LOVE / DiPROMiSE” and really recognize its historical significance. Perhaps some people are looking at it like that currently, but it’s probably through a filter that makes it look like the sky is falling and that this is actually BiS’s last single or something crazy like that. It might shock some of you, but I really do not share that view in the slightest. So what’s all the hubbub I hear you say? Well, I’m not sure what rock you’ve been living under for the past few weeks but Pour Lui is graduating from BiS (she actually already has by the time you’re reading this). You can say what you will about the likes of Togawa Jun et al, but in my opinion Pour Lui and the other BiS members of the time (that would be Rinahamu, Nozomi and Yukiko by the way) really paved the way for what has turned into the “Alternative Idol” movement of the last few years. We’re losing a true icon of the Japanese Idol scene folks. While this single may be Pour Lui’s last one with BiS, it isn’t actually BiS’s last single. No, as much as some people might like to tell you the group isn’t going to be over/irrelevant/etc without Pour Lui. That’s a topic for another day though. We have the small matter of Pour Lui’s last single to discuss first. It’s a WACK release so I’m hardly expecting a cherry blossoms fluttering in the wind type of graduation song, but I’m sure they’ll honor her in their own unique way. Let’s find out how exactly shall we? So “WHOLE LOTTA LOVE” gets Pour Lui’s final BiS single underway…and it doesn’t even actually feature Pour Lui. It also doesn’t feature Kamiya Saki either as she’s away back to GANG PARADE. No, for this one we have what will be the continuing line-up plus Aya Eight Prince who makes her return here. I don’t know about you guys, but this sounds like a BiS song to me. It has the verging on creepy sounding guitar driven instrumental that has become a staple of the BiS sound over the past year and in my opinion you don’t really notice that Pour Lui isn’t singing any of the vocals. Speaking of the vocals, they do a great job of showcasing everyone’s unique voices in the verses then it all comes together for a pretty darn catchy chorus. I’m not sure what else you want from a BiS song in all honesty. The future is very bright indeed. Don’t worry, they weren’t going to leave Pour Lui and Saki out entirely. They’re just not getting the top billing is all. They definitely get featured prominently on the single’s second a-side “DiPROMiSE”. As one might expect, this is a bit of a sombre affair. However, this song is definitely written with showcasing the talents of both departing members in mind. The amount of raw vocal power in the chorus is striking and worth the price of admission alone. The verses on the other hand do a great job of creating the aforementioned sombre atmosphere of the song. Throw in a classic Scrambles instrumental with some samples of falling rain and this is quite the emotional send-off they’ve brewed up here. I doubt I have to convince anyone to listen to Pour Lui’s last BiS song but this is her doing what she does best and she will be greatly missed. What a great send-off for Pour Lui and to a lesser extent Kamiya Saki (she ain’t retiring yet, calm down). I’m sure some people aren’t too happy that “DiPROMiSE” isn’t the lead track but you’ve got to look towards the future while honoring the past. Pour Lui is certainly going to be missed, although it’s unclear what her plans for life after BiS are so she might still be around in some capacity. A small comforting thought for those of you struggling to come to terms with these developments. As for BiS, I’m actually really excited to hear what they put out next. I definitely liked what I heard from “WHOLE LOTTA LOVE” and Peri Ubu, Pan Luna Leafy, Aya Eight Prince and Gozeela all have more than enough vocal talent to pick up the slack it seems. Anyone thinking about writing BiS off if Pour Lui isn’t there anymore I implore you to at least check out their next release. I have a feeling that they might just surprise a few people.